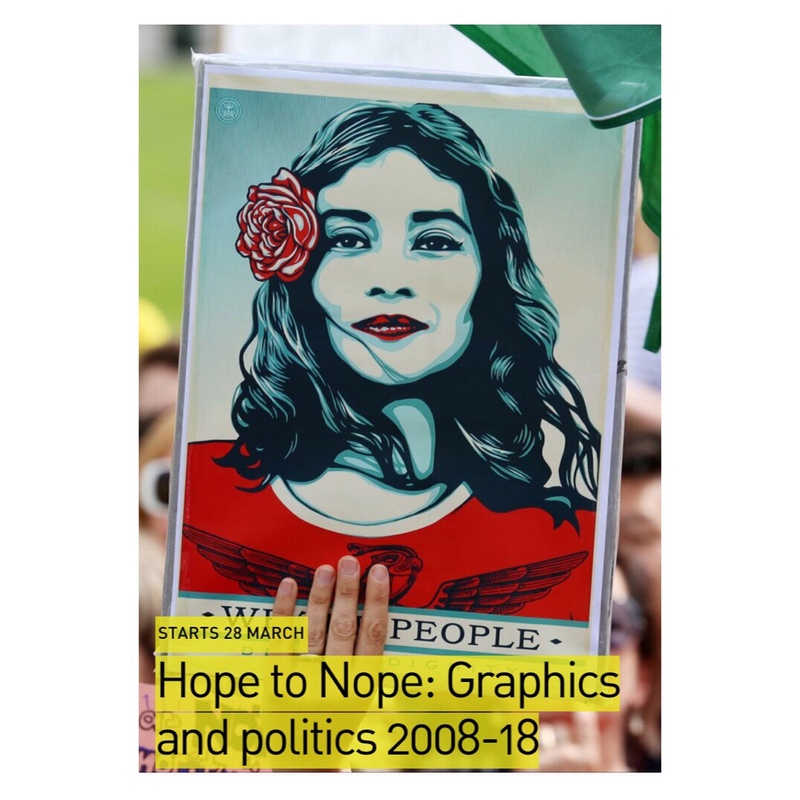 Hope to Nope: Graphics and Politics 2008-18 is a new exhibition at The Design Museum in London which opens on 28th March. It will examine the political graphic design of the past decade through artefacts ranging from traditional posters and banners to the rise of digital media and social networks that have extended the reach and changed the nature of protest. Featured political events include the 2008 financial crash; the Obama presidency; the Arab Spring; the Occupy movement; the Deepwater Horizon oil spill; the Charlie Hebdo attacks; Brexit and Trump. Below are a few of the works you can expect to see and you can book tickets here.